Evaluation and Treatment of disorders of the Nose (medical and surgical), Septoplasty, turbinate surgery, removal of nasal polyps and surgery for repair of nasal injuries. Evaluation and Treatment (medical and surgical) of Sinus Disorders including Endoscopic Sinus Surgery, Balloon Sinuplasty, and Balloon Dilation. Click here to view a video on Balloon Dilation. Click here for more information on Balloon Dilation. Evaluations and treatment of lesions and masses of the mouth and throat. Evaluation and surgical treatment for snoring and sleep apnea. Evaluation, Medical and Surgical treatment of chronic hoarseness, voice disorders (polyps, nodules), acid reflux, chronic cough and postnasal drainage. Amateur and Professional Singers, Clergy, Teachers, Actors, Public & Motivational Speakers, Entertainers, Radio and Television Personalities. Digital video imaging and endoscopic evaluation of the vocal cords and surrounding structures. Sinus surgery is usually performed to enlarge the openings that drain the sinuses. A patient may choose surgery if other treatments (i.e. medications, nasal sprays, humidifiers, etc.) have failed to alleviate chronic sinus conditions. Duane J. Taylor M.D. has successfully incorporated the use of balloon dilation to treat sinus problems in the office. The treatment has afforded many patients relief with little down time and without having to undergo general anesthesia. Dr. Taylor has been doing balloon sinus procedures for the past 5 years and during this time has done over 150 of these as office based procedures. He looks at each patient individually to determine whether they are candidates for an in office procedure and also looks to see whether their disease has been treated adequately medically. Dr. Duane Taylor has been performing sinus surgery for over 25 years and finds This as a viable alternative to traditional endoscopic sinus surgery in selected cases. The minimally invasive approach of using a balloon to dilate to passageways that lead from the sinuses to the nose has provided a safe option for patients who fit the criteria. Each patient has a thorough history, evaluation and fills out a survey prior to consideration. The patients have the opportunity to view an interactive multimedia presentation with Dr. Duane Taylor who reviews the specific procedure that will be appropriate for them. View Video Endoscopic Sinus Surgery is usually performed to enlarge the openings that drain the sinuses. A patient may choose surgery if other treatments (i.e. medications, nasal sprays, humidifiers, etc.) have failed to alleviate chronic sinus conditions. It is performed under general anesthesia using special instruments and telescopes. It is performed through the nose without any external cuts or incisions required on the face. Sometimes it is performed in conjunction with other procedures such as a septoplasty and or reduction of the inferior turbinates. Unless the person has other significant medical problems these procedures are performed as an outpatient and they are able to go home the same day. The recovery period is about a week on average. Evaluation and Treatment (medical and surgical) of Sinus Disorders including Endoscopic Sinus Surgery, Balloon Dilation , Balloon Sinuplasty. Thyroid surgery is used to treat several different thyroid conditions such as nodules, cancer and hyperthyroidism. Surgery is often considered a last resort for thyroid conditions and may be used if more conservative treatments have failed, a condition is recurring or cancer is present. Thyroid surgery removes part or all of the thyroid gland, depending on the type and severity of the condition. We have video animations that provide our patients with educational information. Please click on one of the categories to see the video animations that are relevant to each topic. All video is closed captioned for the hearing impaired or for those who are unable to listen to the audio portion of the presentation. Click on the menu button in the right hand corner to return to the main menu. Click the language button to change to Spanish or closed captioning. Visite nuestra nueva colección de videos educativos, que ofrecen explicaciones claras de oido, nariz y garganta. Nuestra biblioteca incluye problemas como las alergias, la audición y perdida de la audición, las infecciones del oido, tubos, amigdalitis, sinusitis y otras cirugias. Atención, los pacientes que hablan español. Por favor, haga clic en la ficha “language” en la esquina superior derecha del reproductor de video para selecciónar la version en español. For more information on our Ear Nose & Throat / Head & Neck Services or to make an appointment, call us at 301.897.LVLV (5858). 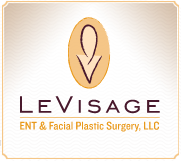 © 2019 Le Visage ENT & Facial Plastic Surgery, LLC and MedNet Technologies, Inc. All Rights Reserved.